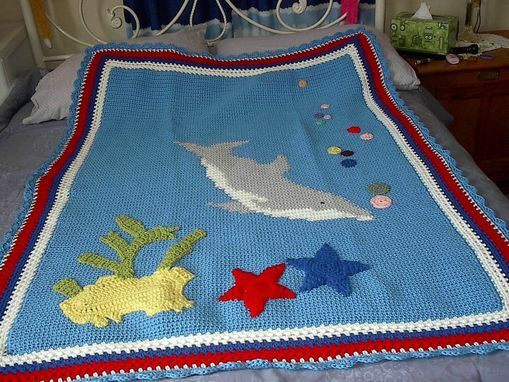 The Dolphin Afghan is crocheted in worsted yarn and features starfish and seaweed with the Dolphin in the middle. 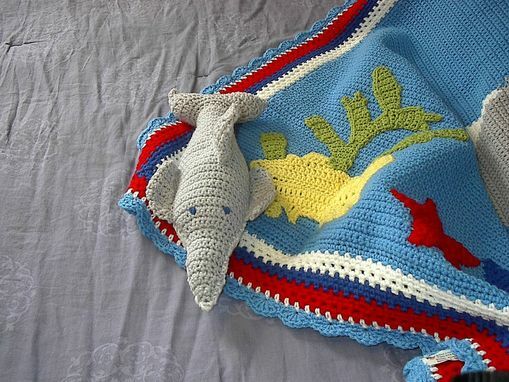 Edging is done in the colors within the afghan. It measures 39" x 46". 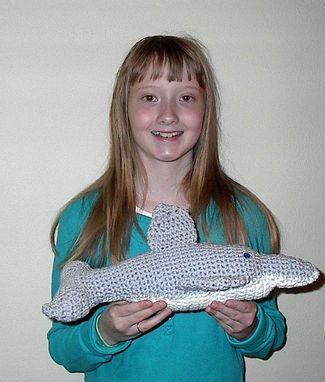 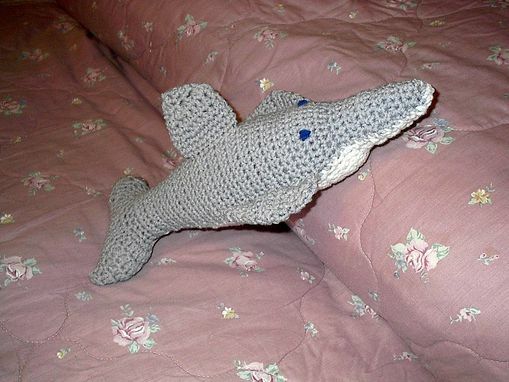 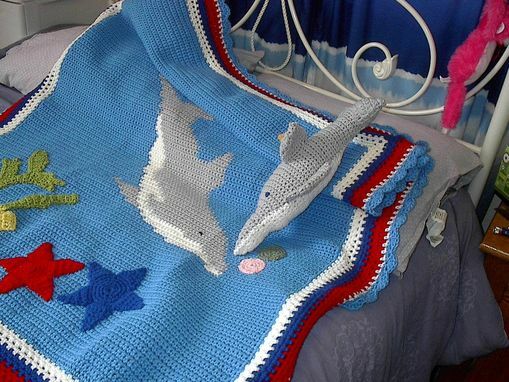 It comes with a Crocheted stuffed Dolphin measuring 15" in length.